Headland House is a luxury Bed and Breakfast perfectly located above the golden beach of Carbis Bay, an ideal hideaway for those wishing to relax and unwind, set within a sympathetically renovated Edwardian House, Headland House has nine en-suite bedrooms with power showers or double end roll top baths, contemporary furnishings, luxury toiletries, relax on Summers afternoon in our hammock or settee with a chilled glass of wine. Fenella and Mike were wonderful hosts. They recommended many local things to do as well as stopovers on our onward journey. The accommodation is five star- extremely comfortable beds and the decor is so tasteful. The breakfast was delicious with a wide choice of both hot and cold delicacies. I would highly recommend this B and B as a wonderful place to stay when visiting Cornwall and wish we could have stayed longer ! Lovely and friendly, go out of their way to help with anything. Breakfasts were excellent. The local Spanish restaurant was excellent, which was recommended by Mark & Fenella. Also The Beach restaurant in St Ives was very good too. We visited Feadon Farm at Gwelan Mor for the Wildlife Experience, coming close up with foxes and an Eagle Owl amongst other wildlife, Gary was really good. This was our second visit to Headland House and it was just as pleasurable as the first! The rooms are well appointed and comfortable. Mark and Fenella make very warm and welcoming hosts. Mark is always full of ideas of places to visit and Fenella provides the important stuff; tasty breakfasts! The scenery is beautiful and as it's a stones throw from St Ives, it makes the perfect base for a relaxing break. Get the train (located 30 seconds down the hill) into St Ives. £2 return! Welcoming hosts who were efficient, friendly and informative. I would certainly recommend this B&B to all friends and family. This is a lovely old house which has kept all it's charms. Beautiful architecture,lovely original features, light and airy rooms which were decorated to reflect the period of the house. Our room had wonderful views of Carbis Bay, over to St Ives. Our room was very comfortable, wi-fi,TV, tea/coffee/hot chocolate/fresh milk/ice cold water/and even afternoon Cake! Excellent en-suite facilities.The choice at breakfast was comprehensive, and offered a wonderful selection of cereals, juices, fresh fruit,jams,croissants,freshly cooked items - i.e. combinations of smoked salmon - avocado - poached eggs. We thoroughly enjoyed our visit. Headland House is very fortunate in it's position, as access into St Ives is so easy. A five minute walk down the hill takes you to the railway station which has a regular shuttle service to and from St Ives, roughly 5-10 minutes. This service costs £2 return. There is a footpath from the same area which is a very pleasant walk of around 45mins. Our hosts supplied us with a local map, and marked places of interest, which proved very useful for searching out the Tate and other galleries in the town, as well as Restaurants, coffee shops, and other local amenities. A happy place to stay with privacy and socialization if desired. The owner's were full of good suggestions on restaurants and ways to approach and enjoy St. Ives and its environs. Alba restaurant in St Ives is a must for a special celebration, but you must pre book in advance, also train from Carbis Bay into St Ives so easy great way to travel, or you can walk takes about 20mins to 30mins. Wonderful place to stay with attentive hosts. Very enjoyable. Hosts were very helpful and nice! Well appointed, clean and vintage chic rooms. Equipped with everything that you might need for a relaxing stay. Warm and welcoming hosts, a fantastic, fresh breakfast selection. We had a superb stay and would return. Highly recommended. Headland House is within walking distance to Carbis Bay beach, the coastal path and railway station. Recommend taking the coastal path into St Ives, to arrive at Portminister Beach Cafe for a late morning coffee on the beech. Informative, friendly host and hostess who helped us with our luggage. Nice to have a bottle of wine available. Good view from bedroom 1. We were 'upgraded' to the bigger bedroom (probably when our host saw my size!) Delicious breakfast. Extremely clean and well decorated unlike many places that show wear and tear. Our host listed places to eat for the evening but we felt too tired to go into St Ives and we went on his recommendation to their nearest restaurant, La Cassitta (Spanish) just up the hill from Headland House and it was good. Very warm & friendly greeting. The room was very comfortable and clean,attention to detail was excellent. The breakfast was delicious cooked to order and plenty of choice the staff were very pleasant and nothing was too much trouble. A hidden gem. Excellent hosts, great recommendations what to see in the area and where to eat and the breakfast just fab! It was our first visit to Headland House and hopefully there will be many more. It was a delightful house with beautiful views of the bay. Mark and Fenella made you feel so very welcome in their stylish home. Wonderful breakfast and especially liked the cake in the room in the afternoon! Definately a Luxury Bed and Breakfast. The Restaurant in Carbis Bay on the beach is very nice and if the weather is warm you can sit outside and take in the beautiful bay. If you want to travel into St. Ives the train is very convenient 1 stop from Carbis Bay or alternatively if the weather is good walk the coastal path into St. Ives which has wonderful views. The Porthminster Restaurant as you come into St. Ives on the path is exceptional but booking is advised. All in all a very relaxing place to stay. Beautiful boutique hotel. Very welcoming hosts who have thought of every detail needed to make your stay enjoyable. Delicious breakfast and beautiful designed room. Walk the coastal path to st ives and further. Everything was spotless and owners & staff were all very friendly. You can see they have spent a lot of time and effort to make the place an excellent base for anybody visiting the area. It has the feel of a larger boutique hotel, but with the friendliness of a B&B. Breakfast was as good as it gets. The only negative was the noise from the guests walking around in the room above ours (We stayed in the Boat House). This is an ideal B&B for visiting the area. The Railway station is a couple of hundred yards away with the journey to St Ives taking about 5 mins or if you prefer, you can walk it in less than half an hour. The Barbra Hepworth museum is well worth a visit. Great location. Lovely proprietors, welcoming, very helpful and informative. Breakfast delicious with beautiful rooms and quiet. We had a fantastic stay at Headland House. The location is great, tucked away in peaceful Carbis Bay but with beautiful sea views. It's also very easy to get into St Ives, or out and about to explore this part of Cornwall. Mark and Fenella provide such a warm and friendly welcome, the breakfasts are amazing, our room was lovely, with homemade cake in the afternoons and a glass of port at bedtime - we didn't want to leave! Take the coastal walk into St Ives, it's beautiful, or catch the train, a very short and fun journey. If you're going to the Minack Theatre, Mark and Fenella have put together a 'Minack Pack' to make things more comfy. They also know the area inside out, soak up their advice! We really enjoyed our stay at Headland House. Fenella and Mike were very friendly and attentive hosts and made sure we were very comfortable- all the staff were lovely. We loved the Heligan garden room with its little table outside but the seaview room on top floor had the most stunning views of Carbis Bay. 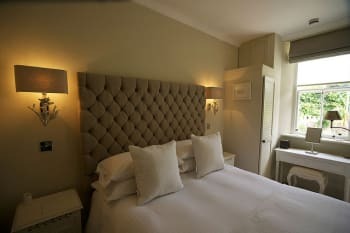 The beds were beautifully comfortable and breakfasts delicious- great choices.Spotlessly clean and a very relaxed vibe. Watch out for the snug bar-I almost didnt bother going out to dinner I got so snug! Recommend Porthminster Kitchen for modern cornish cuisine. Heligan Gardens is well worth seeing. St Ives was a bit busy for us but it was August- id love to visit when a bit quieter. What a beautiful place to stay, in a fabulous location! We loved our experience at Headland House and would highly recommend to anyone wanting a touch of luxury in a beautiful setting. 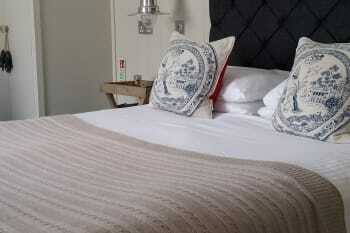 The rooms were exceptionally clean with luxurious linens and beautiful little touches such as lovely toiletries, refrigerated water, sweets, and daily homemade cake. Everything was beautifully presented and of the highest quality. We loved the location, which was so close to the rail station, and also easily walkable to nearby St Ives. The highlight would have to be the exceptional breakfasts. Beautiful fresh ingredients, amazing variety, and superbly tasty. Also special mention the wonderful friendly staff who were so welcoming and helpful. Large light room and bathroom. Spotlessly clean. Excellent breakfast. Very friendly and helpful hosts and staff. Plenty of parking. La Casita Mediterranean restaurant just up the road is recommended. Beautiful coast walk into St Ives, or train station to St Ives a 3 minute walk. Porthminster Beach Cafe was delicious for dinner but ensure booking due to the busy summer in st ives. The train is fantastic for £1 and gets you into at ives in a few minutes. This was our third visit to Headland House taken over a ten year period. I just can't believe how the high standard is maintained after all those years. The decor is lovely, rooms are so clean, good quality fittings etc. Breakfast is wonderful, great choice and beautifully presented, a great start to the day. Loved the train which takes you into St Ives and the Coastal Walk is great too. Lots of different places to eat and drink, the Alba was our favourite this time, stunning location and amazing food. Lovely 3 night stay at Headland House. Away from the hustle and bustle of St Ives but close enough to walk there. Very friendly and helpful staff. Fab breakfast. Love the honesty bar and "The Minack Pack" was a life saver. Would definitely go back and recommend to others. Mark and Fenella are superb hosts; so friendly and welcoming, and full of advice about where to eat, good local walks etc. The breakfast was really top-notch; one of the best I've had in ages, and beautifully presented. The location of the house is great, just a few minutes' walk to the train for St Ives, which takes only a minute. I hope to get back to Headland House one day. Loved every minute of our stay. There was nothing to find fault with. The room was fantastic, breakfast was wonderful and to relax and enjoy it with a sea view was the perfect start to the day! We felt genuinely welcome at Headland House. This was a special treat to celebrate myself and my best friend turning 40 and we couldn't have spent it anywhere better. La Casita, the tapas restaurant, is just a couple of minutes walk from Headland House. It was so good we ate here twice during our stay! Booking is essential though, as they get very busy. The Boat House, the superior room we stayed in, is the ultimate in luxury. We paid a little more for this but were so glad we did. Headland House is in Carbis Bay, just 1 stop along on the train line to St Ives. It's only £2 return for the train and well worth it. No need to worry about parking in St Ives! The trains are really regular, however check the timetable carefully as not all stop at Carbis Bay. Very accommodating and friendly. Lovely breakfast with a great choice. Very chic rooms. A great stay! Beach Side Cafe, Wharf Road for best crab sandwich. Porthminster Beach Cafe, Porthminster Kitchen. Porthcurno’s Minack Theatre is a must visit and the best view to enjoy a cream tea! Porthmeor Beach Cafe and Portminster Beach Cafe are excellent and the Rum and Crab Shack is great fun. We've stayed quite a few times and have always had an extremely pleasant stay. Fenella and Mark are very friendly and approachable and nothing is too much trouble. Bedrooms are very comfortable and clean as is the whole house. Thoroughly recommend it for a very relaxing stay. Beach walks when the tide is out, coastal walk into St Ives, Porthmeor Cafè at sunset. Rum and Crab Shack, Seafood Cafè. To many places to enjoy a good meal to mention one. Having stayed here about 2 years ago we decided to extend our stay in St Ives this year with a final night in Headland House after disappointing accomodation elsewhere. Mark and Fanella were super helpful as it was such a last minute booking and made us feel very welcome. A fab location, gorgeous room and delicious breakfast ended our holiday on a high. Will be back soon! Lovely welcoming and friendly hosts. This establishment is superb, run by wonderful,kind and welcoming owners. They are friendly,helpful and always ready to help. Beautiful house,great views and cleanliness above and beyond. Comfortable beds,excellent breakfast. Cannot fault Headland House at all. Thank you. Best meal we had was at Porthmeor Beach café. Porthminster Café has a superb location and takes advantage of this in its rather high prices. Lovely little café just opposite the Harbour Beach, Sat outside watching the world go by drinking prosecco and eating lovely snacky bits and pieces. Sehr schönes, kleines und ruhiges Hotel mit sehr nettem Hotelehepaar: sehr zu empfehlen. Wonderful service. Friendly helpful people. This is a gem of a place tucked away in Carbis Bay 5 minutes drive from St Ives. Hosts Mark and Fenella know how to look after their guests and go out of their way to ensure that your stay is the best it can be. Breakfasts are cooked with care and the rooms are fresh and clean (I arrived a day early and was in a different room to the one we booked for the weekend) we will be going back for sure. We are at La Cassita a few minutes walk from the hotel which was lovely - Spanish restaurant with good food. We also went to the Porthminster Kitchen in St Ives and The Alba - both excellent. The revamped Tate in St Ives is a must as is the Barbara Hepworth Museum and the Leach Pottery. We really liked that the BnB is based in Carbis Bay as theres a lovely coastal walk/train into St Ives which we really enjoyed - and kept us active! We had an sea view room that was fantastic for the beautiful sunsets and a very and comfortable bed. Lovely owners and staff. Porthwidden beach restaurant was great. the train is an excellent way to get into st Ives. This is a great Luxury B&B, the service was warm, friendly and very helpful. The B&B is beautifully done and feels very luxurious but homely. Nothing was too much trouble for Fenella or Mark. I was there for a long weekend for a wedding and having seen other guest rooms in some of the areas luxury hotels, I would say that Headland house, gives them a great run for their money. I would definitely go back. My wife and me have spent some wonderful days in that B&B location. The location itself, the service as well as the equipment were lovely and on a very high level. I can fully recommend that B&B. We enjoyed the days at Headland House. Many thanks for the good Service and excellent surprise (Cake in our room). Hope we can see us next june together. Top familiar Hotel for lovely days at Carbis Bay. Kind and beautiful. 30 min walk to St. Ives. Good Restaurants in the near und good Tipps from the Owner. We say ... Lovely. Helpful warm welcome from both owners. Excellent room and facilities and a very good breakfast, especially the ‘breakfast special’ Highly recommended- we would sty again. Alba restaurant overpriced and of a lesser standard than other places we’ve eaten in. Tapas at the beach rrsraurant was excellent. Avoid half term if possible! Enjoyed every aspect of staying here. Picked Headland House from the internet and had no regrets at all. Unlike many other claims, this definitely is a Luxury B&B.. Beautiful decor, spotlessly clean, very comfortable rooms, wonderful breakfast selection perfectly prepared and presented - combined with excellent friendly personal service. We will be back. Good food at La Casalita, where we ate twice. Varied menu and friendly service. Use the train to go to St Ives. Only 2 minutes walk from the guest house and only £2 return from Carbis Bay station. Look out for spa deals at Carbis bay hotel! We thoroughly enjoyed using the facilities. We had a lovely time there. We will definitely come back. Friendly b&b that's good enough to last in the memory. Lovely breakfast and very convenient for sandy local beach and/or short train ride into St.Ives. Decent Italian/Spanish restaurant just up the hill and not too far to walk there and back! Wonderful luxury bed and breakfast, gem of a place to stay, Mark and Fenella are so welcoming, we were celebrating our 49th wedding anniversary, this being our 3rd stay, thank you for our surprise bubbly on ice in our room after a lovely day on St Ives beach, weather was gorgeous, all the rooms are fabulous, cannot wait to visit again soon. We stayed for 2 nights absolutely amazing service and food was of very high standard.The owners went out of their way to make our stay very enjoyable would highly recommend. Very friendly and welcoming B&B; almost like a home from home! Absolutely stunning location, just a 3 minute walk from a beautiful beach. Really friendly and welcoming staff- the owners are lovely and couldn’t have been more helpful. Full of great suggestions for things to do and places to go nearby. Charming little touches like blankets for the outdoor seating area and cake in our room on arrival make this b&b extra special! Thanks for a great stay, we’re recommending you to all our friends- Joe and Megan. Blas burgerworks & Firehouse Bar and Grill- awesome food! Otherwise just ask the owners! A gem of a place. Beautiful, spacious room with everything you could possibly need. The outdoor terrace and bar area made it feel like staying in a home - this is not just a B&B! Mark and Fenella are so welcoming and helpful, you feel like friends, not guests. Thank you for a delightful stay! The Minack Theatre is amazing, either to see a performance or just to visit and admire the setting. Very comfortable B&B in an excellent position for Carbis Bay and St. Ives (one stop on the train from the nearby station). Mark and Fenella have thought of lots of touches to make guests feel welcome including cake in your room every afternoon when you return from a day out. Breakfasts are excellent. The Bean Inn in Carbis bay is excellent and very reasonable in price for vegetarian food. Fantastic relaxing stay - many thanks to Mark and Fenella. We truly enjoyed our stay at the Headland House in St Ives ! Mark and Fenella are fantastic hosts. The place is beautiful, clean and up to date. Breakfast was wonderful especially the boiled egg and soldiers. The hotel was really modern and very clean, the proprietors very friendly and helpful, suggesting places of interest to visit and restaurants to try. We would return to this hotel and wouldn’t have any hesitation in recommending it to others. Train station at the bottom of the hill which goes into st ives is very convenient but if you are looking for a great beech then Carbis Bay is all you need. Fenella and Mark do everything possible to ensure that your stay with them is perfect. Porthminster beach cafe was amazing!!! Fabulous boutique B&B in a great location, close to the beach. Lovely helpful hosts, beautiful rooms and great breakfast! Very well presented accommodation, with welcoming and friendly hosts. Superbly located - close enough to St Ives, but far enough away to avoid the 'bustle.' Highly recommended. Take the coastal path walk into St Ives rather that the train or car. Recommend Balnoon Inn (Sunday lunch) and the Watermill for good 'eats' locally. A very welcoming reception. We were given lots of useful local information. Breakfast was excellent with lots of personal touches. Both of you were extremely friendly and went out of your way to make our stay memorable. Alba restaurant is very good as is Porthmeor Beach Cafe. To go into St Ives it is well worth taking the train. The Tate also hosts some good exhibitions. Brilliant location, brilliant hosts, beautifully presented house, great breakfast and in fact one shjould actually just say - perfect !! The Italian/Spanish at the top of the hill - great food -and a short walk, enjoy a drink and a slow stroll back down the hill. St Michaels Mount is a must - including the walk to the top ! Just ask the hosts. We went kiteboarding and had great support from them. They know nice restaurants were we had good food as well =). Lovely place with well thought out facilities and excellent customer service. Headland House is perfect. Everything about our stay was fantastic. We were greeted by the lively and very knowledgeable Mark, who gave us tips about the area/where to eat etc. The guest house is impossibly stylish and homely, everywhere you look there were gorgeous touches. Our room was lovely, again, it was something out of a magazine. Everything was perfectly placed. The best thing about our room...the view of Carbis Bay. The sash windows framed the view of turquoise seas. In the morning, we met Fenella. She was so warm and welcoming. Breakfast was nothing short of amazing. Fruits/ cereals etc laid out beautifully with a menu for hot breakfast on each table. The conservatory offers, again, lovely views of the bay whist you eat your breakfast. There were many other touches that I wouldn’t want to spoil for other guests, but this was probably the best place I have ever stayed. We looked at many other guest houses and hotels and I’m so glad we went with this one. Speak to Mark and Fenella, they gave us fantastic recommendations for both nights/days we were there. I was initially not sure whether we should stay in Carbis Bay - thinking it might be a bit far removed from St Ives. I’m so glad we stayed in Carbis Bay. The beach is unbelievable and a couple of minutes walk from the guest house. It was not crowded with people either (St Ives harbour beach was lovely, but packed). There is a gorgeous little train right next to Headland House that gets to you St Ives in 3 minutes. We also walked it one day, it took only 25 minutes and was a lovely walk! I would recommend to anyone that they should stay in Carbis Bay instead of directly in St Ives...furthermore, stay at Headland House. It was a little more expensive than the other places we had stayed, but it was so worth it. Mark and Fenella were so welcoming and gave us great tips for sightseeing, restaurants and getting the most out of our two day stay in Cornwall. Our room was beautiful with amazing views and the breakfasts were excellent! The train from Carbis Bay into St Ives was quick and extremely convenient. Kynance Cove near Lizard and the Minack Theatre are a must see. Very friendly and welcoming. Lovely breakfasts. We shall return. Handy train to and from St. Ives. Black Rock Restaurant worth a visit. Excellent accommodation which is comprehensively equipped, beautifully decorated and well maintained. A wide range of carefully prepared breakfast items gives a great start to the day. Mark and Fenella are totally committed to you enjoying your stay with them. They are friendly and helpful but never intrusive. St. Ives is busy all of the holiday season and it really is best to make restaurant bookings or face disappointment. From the warm welcome on arrival and throughout the whole of our all too brief stay,we very much enjoyed our time at Headland House. Thank you for being such kind and thoughtful hosts. Great style, warm and friendly welcome. Good attention to detail. Would definitely recommend. We went during st Ives arts festival so it was quite busy but very interesting. I do have mobility problems but managed to get up to the second floor! Probably I would book the first next time. Lovely bed and breakfast could not do enough for you. Sunday was pouring down with rain so we decided to read in the beautiful lounge what I nice touch that they offered us tea or coffee. Also was sent up a bottle of bubbly as I went through chemotherapy they didn't have to but they did. This place is so at home you could not fault it with specials on the daily breakfast menu. Nice touch with the train time table on a chalkboard. A "wowing" place in a fabulous landscape. Very clean, nice and cozy rooms. A brilliant breakfast. And of course such nice people there. One can't be more friendly as they are. 5 Stars! THANK YOU! The train station to St. Ives city is only 5 mins by walk. St. Ives is a picturesque and lovely place. Proprietors are very friendly and hospitable. Excellent breakfast. Mark and Fenella were extremely helpful and welcoming hosts. Great tips of where to go and places to eat/drink. Will definitely be back and will recommend to others. Mark and Fenella were very helpful and friendly. On our arrival, Mark gave us some tips on good places to eat, and told us about the St Ives Bay train which makes it much easier going into St Ives. The room was lovely and spotlessly clean. Loved the little touch of coming back to homemade goodies after being out for the day - the rocky road was a particular favourite. Breakfasts were very good - can recommend the smoked salmon and scrambled egg on toast. Would definitely recommend Headland House to others. Can recommend 'Becks fish and chip' restaurant. Also had a nice meal at 'The Cornish Arms'. A visit to Porthcurno beach and The Minack Theatre is a must (check when it's open in between performances). lovely place to stay. Fenella and Mark are great hosts, breakfasts fantastic.Train takes you into ST IVES, only 5mins, you catch it just down the hill. The best fish chips you will ever have is called Becks just on the main rd. We had a fantastic stay at your beautiful guesthouse, and were made to feel so welcome from day one. From the great view from our room, to the comfortable mattress and pillows, to the little extra touches such as the tasty cake each day, and all the helpful advice as to where to go, places to eat etc. Thank you both so much! A must is the train to St Ive`s - very scenic, or you can walk it in around 25 minutes. There are plenty of places to eat and drink in St Ive`s - we particularly loved the Sunday carvery at The Lifeboat. For fish and chips, we couldn`t fault Beck`s ( other choices available such as steak, gammon etc), and its only a 15 minute walk from Headland House. So many lovely personal touches. Clearly you have created the sort of accommodation which you would like to stay in yourselves. The beach bar down the road (owned by Carbis Bay Hotel?) was so easy to use - despite the steep hill back! Great views and casual dining. The railway station is an invaluable bonus to this location. Really lovely hotel. So impressed with decor in room and lovely spacious bathroom. Great attention to detail eg. Fresh milk in fridge and smoothie shot at breakfast. Rugs and cushions for minack theatre.Lovely friendly hostess. Exceptional hosts, who went the extra mile to ensure our stay was perfect in every way. We would have no hesitation in recommending Headland House to friends & family. Short walk to the local train station Carbis Bay (downhill), 1 stop to St Ives, 3 or 4 stops to Penzance, lovely local beach Carbis Bay (5-10 mins walk), plenty of good restaurants in St Ives, strongly advise that you book in advance of your stay. Good spa’s at Una 10 min drive/cab (£8) and The Carbis Bay Hotel (5-10 mins walk). From the moment we arrived, we felt very looked after by Fenella & Mark. Nothing was too much trouble. The house is stunning and in a great location. We will miss the brownies and the breakfasts! If going into St Ives, use the train located down the hill, it's so much easier than driving and with it being only £1, it's a no-brained! We were made to feel very welcome & enjoyed our stay here. The train from Carbis Bay to St Ives is a must if you want to explore the town. A lovely welcome and I felt very looked after throughout - umbrella outside my door on a rainy morning! Beautiful quiet house, sea views, breakfast impeccably presented and friendly hosts serving and preparing. Will definitely return. Very handy for scenic train journey to St Ives - £1 single! Worth every 60 seconds of the trip for the view of sandy beaches and turquoise sea and coastal flowers. Trains also go to Penzance. Great atmosphete - restaurant on the beach at Cablis Bay is wonderfully casual amid a serene stting beside the sea. Our 7th visit and of course we'll be back. Beautiful accommodation only minutes from the beach. Wonderful hosts and a delicious breakfast. We visited porthminster beach cafe for dinner this visit and sat on the terrace, delicious food, great service and an unspoilt view of the sea. You'll need to book. It's right by the St Ives train station stop. The Harbour fish & chip shop is always worth a visit, delicious. The walk into St Ives is really nice and doesn't take too long, good to walk off the ice creams or pasties! St Michaels Mount is only 20 minutes by car and a lovely morning out. Time it well and you can walk the causeway. Lands end is also with a visit, we drove to Sennen Cove and walked a small section of the South West Coastal path, its then free to see Lands End rather than go into the attractions. Owners friendly. Hotel wonderful. Food great. We keep coming back every year so it must be good. Lovely beach very close by. Plenty of eating places in St Ives - only 3 minutes on train. fantastic bed and breakfast in an outstanding location which is immaculately presented. Staff are very friendly and go the extra mile to ensure you are looked after or need help with things to do. Make use of the train staion just down the road, by far the best way to get into St Ives. A very warm and empathic athmosphere with thoughtful hosts. We enjoyed the time. The only Little minus was that towels were not exhanged after three days even when they were place on the ground of the bathroom. The Tapas restraurant at the beach near by the tate galery has excellent Food, delicious whines and extraordinary friendly staff. We had an amazing stay at Headland house, the breakfast was delicious. I'm just sad I was too full from dinner to enjoy breakfast on our second morning. The view from our room was incredible. Everything about our stay was perfect. Except the length, it should have been 3 nights minimum. Thank you both for your warm welcome and your attention to detail through out the whole place. It's perfect. The walk to st Ives is gorgeous, even in the rain. We got the train back one night which was fun and only £1 per person. Great restaurant recommendations by mark and fenella, especially porthmeor cafe, book in advance if you have a preference on times or table. We both want you to come live with us and take care of us forever. Had a wonderful stay, you were so very welcoming. It is very much a home from home and the furnishings and decor are beautiful. I liked the little touches like a slice of cake when we got back to our room in the afternoon and the honesty bar was great for when we sat in the garden in the evening after a meal out. We will tell all our friends to stay there if they are in Cornwall. Thank you for looking after us. Beautiful room overlooking the bay and very tasty breakfast. Steep hill down to the beach so make sure you have some energy left to get back up after a day on the beach. La Casita tapas restaurant in walking distance was great on both occasions we went there. Lovely staff and food was delicious. Train trips to St Ives within 5 minutes rather than taking the car in. We felt at home straightaway and knew that your offer to make our stay as comfortable as possible was genuine. Took your advice on places to eat and thoroughly enjoyed our evening meals particularly at The Porthminster Kitchen and Black Rock. The train into St Ives is very efficient even on a Sunday and is amazingly cheap at £1 per person. On the odd occasion we took a cab, Ace Cabs were very pleasant and efficient. A fantastic five day stay. We had a lovely room with wonderful views of St Ives and the Bay. Fenella and Mark are the most congenial hosts, happy to help with restaurant recommendations, places to visit and travel routes. We felt very happy with our decision for your B&B. It was so cosy and comfortable . Every room was in the best of taste designed. We felt so much welcome in your house. As we were on a hiking trip on SWCP we found in the „Headland House“ a great starting point for our tours. We enjoyed the calmness of your place though it was possible to reach the busy St.Ives within a short time (by walking or by train which can be reached by 5 minutes walking time). Be sure that we will recomend your house to our friends as well! Always ask the landlord. He knows everything that is worthwhile visiting, especially local restaurants. Even the hints for restaurants far away were top!! Mark and Fenella are the ideal hosts, welcoming you into a home from home - we needed an overnight stay on our way back from the Isles of Scilly and booked the Sennen Room, waking to beautiful sunny views of St Ives. A delicious breakfast which introduced us to bacon, avacado and poached egg on toast completed our stay. We arrived quite late, but Mark's recommendation to walk down to the Beach side Bar at Carbide Bay for fish, chips and a bottle of wine overlooking the sea was spot on!! Porthmeor beach cafe is amazing! Tapas food. Perfect location right on the harbour. This was our second visit to Headland house and it was as lovely as we remembered. Beautiful rooms and delicious breakfast. Thank you Mark and Fenella. Book restaurants in advance! Especially the Porthmeor beach café. We were made to feel very welcome and nothing was to much trouble. I/we particularly liked the lemoncello and cake with sherry every day. Every morning your breakfasts were varied and very good, Excellent. All in all we would like to say thank you for a lovely, restful holiday. We found the La Casita Med restraint to be very good and it was our favorite. The Mermaid was also very god especially the soup. For those with a bus pass we would recommend they use it. We found it an excellent way to see other towns. Wonderful bed and breakfast Mark and Fenella front of house always on hand to advise on places to visit, and restaurants to eat. Cannot fault this Gem for a wonderful old fashioned seaside break. We will RETURN. Good quality nicely done. Wonderfully comfortable bed. We had an absolutely wonderful weekend stay at Headland House. Steve and Fenella were so welcoming, and went out of their way to make everything feel like a home from home. The Cape Cornwall Room is gorgeous and so comfortable. The location is perfect too, only about 5 minutes walk from the train platform to get into St Ives, or a scenic 35-40 minute walk into town. We spent a very enjoyable weekend at Headland House Hotel. Good location - local train gets you to St Ives in minutes. Service was second to none. We will definitely stay again. Absolutely lovely place, beautiful people, wonderful food and very homely and bright atmosphere. Will for sure visit again soon. Headland House is faultless. From the beautiful decor through out the hotel to the delicious breakfasts to the gorgeous view from our bedroom, everything was perfect. Mark and Fenella made sure our stay was as comfortable and enjoyable as possible. A luxury hotel indeed, rooms are wonderfully spaceful and/or with an open view on the sea, service is flawless and comes with a smile, the best breakfast you could think of. St ives town centre is small and charming, filled with history and nice shops, you can get there from the hotel also by walking along the beautiful sea coast! One of the best B & B 's we have stayed in , wall to wall perfection , beautiful well-maintained house and gardens , haute cuisine , superb location , and 5 star hospitality . Our hosts could not have been friendlier , or more helpful . We felt like writing THEM a thank you letter ! Not one disappointing meal , but the highlights were the Porthmeor Beach tapas , the Porthminster Beach sea-food , and the understated , but exceptional , Alba . The walk to and from St Ives is a joy on a sunny day . The Tate is not at full capacity until October 2017 , so not much bang for your buck as yet , but the new building is wonderful . People watching in St Ives harbour is highly recommended . Excellent everything!!! Room clean and tidy with views across to St Ives. Breakfast was first class for choice, cooking and quality of food. Made to feel very welcome. Really warm welcome, lovely touches to make a stay in St Ives a little more special. Superb breakfast. Porthmeor restaurant very nice, and Porthminster Kitchen in St Ives more reasonable than the cafe on the beach of the same name. Beautiful place to stay, very warm welcome, laid back and easy atmosphere. We would absolutely recommend Headland House; lovely place, fabulous people. Already planning our next stay! We had such a lovely stay here! we will definitely book a return visit!! Excellent set up. Obviously run by people who love the business. Room 1 has a great view towards St Ives. Spectacularly delicious breakfast. Super close to the Carbis Bay train station to get to St Ives, £1 each way. Mark and Fenella make you feel most welcome,the room had a lovely sea view and the breakfasts are as good if not better than some of the 5 star hotels we have stayed at. Would highly recommend. Train from Carbis Bay to St Ives only a few mins walk and very cheap at £1/head each way. Firehouse steak and grill. The Hub Burger Bar. RNLI training on Tuesdays. Shops found on Fore Street. The service and welcome we recieved was superbe, the staff were very friendly and made us feel at home. The breakfast choice was excellent better than any hotel I've stayed in. We really enjoyed the costal walks And the views, the weather wasn't great but good enough to sit on the beach for a couple of hours to read. The local restaurants were good but after our breakfast we found we weren't eating lunch until late afternoon which meant that we didn't want dinner just a snack. If your looking for a relaxing place to go for a couple of days this is the place. Beautiful location and wonderful hospitality from Fenella and Mark. Will definitely be going back for another visit. Make sure you go to see the Minack Theatre and Porthcurno beach! We had a lovely time and you both made us very welcome .The one thing that would have been nice would have been to swop the small table for another chair in our room so we could both sit looking out to sea. One of us either sat on the bed or used the stool. Exceptional standards and beautiful accommodation. Perfect hosts who will do everything possible to ensure a wonderful stay. Lovely couple offering a first class service. Very helpful regarding area and nothing was to much trouble. Could not fault this hotel..... Lots of little things that make the difference. Decor is beautiful, relaxed and had a fantastic stay. Would highly recommend this hotel and would stay again without hesitation. Friendly and helpful with brilliant breakfasts. Considerate attitude. Rooms at front for sea view. Parking behind the house has easier access. Porthminster Beach café. St Ives best reached by train or footpath (if very fit). Very friendly helpful owners and staff. A wonderful attention to detail, lots of extras and fantastic breakfasts. Rooms on the first and second floor have good views of Carbis Bay. Had a wonderful stay at Headland House. The hospitality and facilities were perfect making our stay very relaxing. Location spot on just outside the hustle and bustle of St Ives which is nearby. Mark and Fenella's recommendations of the top restaurants in and around St Ives was commendable. Than you for perfect break and will definitely be back again. Beautiful B&B with 5* service and amazing breakfasts. We really enjoyed our stay, it was very relaxing and peaceful. The location is perfect, a short train ride to St Ives and a 8 min walk to Carbis Bay. We loved the attention to detail, hot choc with marshmallows, afternoon brownies and the gorgeous decor throughout. Would definitely return and recommend to friends. Thank you very much! Kynance Cove was beautiful, great walking trails with beautiful views, if you do not want to laze on the beach wear walking shoes. Get there early to avoid waiting in a queue for parking. Mark & Fenella lovely hosts very friendly always ready with advise if you need it. Need we say more have stayed 4 times each one as good as the last, always a very high standard. Go on try it you'll love it!!! Absolutely beautifully calm B&B, which can not help you enough to enjoy your stay. From added details of cake in our rooms every day, to books, umbrellas and beach equipment to borrow if we needed it. Breakfast to brilliant with lots of choices and different options available rather than the standard. Costal walk from Carbis Bay to St Ives is just under 2 miles and is well worth a stroll - lots of breathtaking costal views along the way!! Otherwise the train is only just down the hill!! Highly recommend Peppers Italian restaurant, Firehouse Bar and The Lifeboat Inn in St Ives!! Beautiful location, well situated to beach and train to St. Ives.Owner very friendly with good advice for sightseing. Breakfast oustanding! Such a lovely stay at Headland House. Warm welcome, delicious breakfast, best nights sleep ever! We had a truly wonderful time at Headland House, thank you! Very comfortable and relaxing. Beautiful ambience with lovely touches and very helpful and knowlegeable hosts. Leave your car at home if you can! Carbis Bay station is only 150m walk and has also good connections to St Ives. Gorgeous walk also to Lelant (opposite direction to St Ives) and its beaches. Mark recommended lunch at Scarlet's (Lelant Saltings). Very glad he did - delicious! We loved our stay - tranquil, stunning location and so relaxing . Lovely, welcoming b&b- with facilities more like a hotel. Not only are the rooms gorgeous but there is a lovely terrace overlooking the sea decked out with magazines, candles and blankets- it really is a top notch b&b! Loads of different beaches to choose from- hustle and bustle of St Ives through to the long stretch at Porthkidney. You don't need a car as there is the train, Taxi's and lots of walking. Loads of great places to eat everywhere too! Great attention to detail. Loved the idea of the snug, complimentary port and honesty bar. Amazing breakfasts, in particular smoked salmon and advocado on toast. Complimentary afternoon tea was well received. We stayed in room 2 and the view of the sea was stunning. Lovely shower and comfortable bed. Ideal for coastal walks such as a walk into St Ives. Quiet location with a couple of restaurants only a walk away up the road. The Gannet Inn in particular was a lovely evening meal, cooked to perfection. Its best to book a local restaurant to avoid disappointment. Location is ideal for local train access and seaviews. All lovely and friendly. Arrived 2 hours early but was fine to book in. Lisa very attentive at breakfast, Ty. The Spanish/Italian had a lovely vibe. Nice food too. Lunch at Carbis bay hotel was ok, they were just very busy I guess. Still we were glad we hadn't booked there as so much nicer and calmerat HH. Very friendly, great location, lovely furnishings, attention to detail is second to none. Highly recommend! Beautiful B and B with great views over the bay. Hosts were very welcoming. Lovely relaxed atmosphere. Train into St Ives takes 3 minutes. Some great galleries. Beach cafes by the two larger beaches were fabulous, great food and a great view. Fantastic location, lovely room. Have left positive review on trip advisor. Very pleased with hotel and lovely staff. Will definitely recommend to my family and friends and will return next year. Loved the whole of my holiday. Mark and Fenella were very helpful. Thank you. Lovely bnb. Great hosts. Enjoyed our stay immensely. It is always a pleasure to stay with Mark and Fenella. Thanks. The owners of this beautiful B&B were fantastic, so helpful and welcoming, couldn't do enough for us. Very friendly and polite and never failed to Make us laugh even when the rain fell. Both myself and my girlfriend really enjoyed our first ever stay in the area and will most certainly return in the not to near distant future and will recommend this B&b to all family. I would strongly recommend booking reaturants before visiting as st Ives gets very busy and booked fast!. The B&b carrot cake however goes down a treat! (Says my girlfriend). And we will be coming back again due to the fantastic food, great hosts and superb location. 10/10! This was our second visit, Mark and Fenella made us feel so very welcome and were fantastic hosts. Headland House is a proper jewel in the crown and we can't wait to go again. Loved location-very easy and quick to get to St. Ives (by train-bus-car or even walking) but at same time very calm setting! Beautiful decor, great shower, very professional service, generous delicious breakfast! Definitely worth a stay! Their Explore List is a good one! We loved Porthminster Cafe and Beach Rest and Porthmeor Beach Cafe (read their suggestions - a Pod at Porthmeor was so fun! We were in heaven with Blas Burger works - had the classic burger and the haloumi one. I would come back for both! We were just 2 adults who love hiking, so we enjoyed hiking on foot path near Minack Theatre and going down steps from theatre (no need for tickets!). Amazing view and experience! St Michaels Mount was also definitely worth it (for kids too for sure) even if more touristic. Its worth it! Went by car... Leach Pottery not worth it at all as it really is just an artists studio...Barbara Hepworth Museum is worth a visit if you like her work. Must hear the tour. Makes a diff. Tate was closed. Walk around st ives exploring streets and coastal views. We stayed 3 nights! Perfect! Been here three times now. Its wonderful. Looking forward to booking for next year! Lovely beach - only 100 or so yards away. St Ives is 5 minutes on train away - ideal for all different types of eating. And we saw dolphins this year! Thanks for looking after us so well. Two suggestions...stronger coffee and tea at breakfast and temperature of same. Only had tea on one morning and it was warm but not hot. Made us feel very welcome, extremely helpful, nothing to much trouble. Breakfast was good quality produce, cooked and presented well, and served perfectly. Would we return YES! Would highly recommend. A place to unwind from the moment you arrive. Carbis Bay is a must, and a walk away. The beach is so clean and perfect for children. We parked our car, not touching it until we returned home. St Ives is a walk away, or the branch line train, which runs every hour at a great cost of £1 means traffic queues and parking nightmares are a welcome relief. Nothing too much trouble, very helpful caring hosts. Great place. Excellent customer focus and attention to individual needs. Seafood Café St Ives excellent. Pub quiz on a Monday in the Castle Inn, St Ives - great fun and friendly , excellent beers and bar staff. ten out of ten we will be back! Must go to Porthminster cafe. Fab food and view. Minnack theatre really beautiful and loved St Michaels Mount. Carbis Bay is a perfect spot for visiting St Ives and the beaches and paths nearby - a train journey that is only a pound and the most endearing staff!! The Alba is a must for cocktails and the Porthminster Beach restaurant was the place for a very special meal at a beautiful location on the beach itself. Can't wait for my next trip!! Wonderful accommodation and hospitality provided by two lovely people Mark and Fenella. Beautiful bedroom with a great view from the bed overlooking the sea. There was even a cake waiting for us to accompany a cup of tea when we returned to our room. Breakfast was delight too! Mark & Fenella are two of the most welcoming and hospitable hosts you are likely to meet. They have successfully achieved a very high standard of hospitality and comfort with the emphasis on the smallest detail. The excellent standard of their rooms and their outstanding breakfasts are a testament to their hard work and love for the business and the well-being of their guests. We had a great stay and look forward to our return visits. The Lakeside Cabin and Cafe, Lelant, St.Ives. Ideal for lunch, enormous open sandwiches and delicious cakes. The Black Rock Restaurant, Market Square, St.Ives. Imaginative cooking, with friendly service. Porthminster Kitchen, The Wharf, St.Ives. Great location overlooking the beach with a first floor terrace. Good eclectic menu with subtle flavours. Mackerel Sky Seafood Bar, Newlyn. Excellent seafood, relaxed atmosphere with outside seating. Bens Cornish Kitchen, Marazion. Well cooked seasonal dishes, set 2 or 3 course meals. minnock theatre the tea room st.ives carbis bay beach bar the life boat st.ives the badger anything national trust cape cornwall and polark area etc stunning!!!!! Very friendly and helpful hosts. Shelf or dish in shower would helpful Convenient location and car park. Fenella and Mark are excellent hosts and made us feel very welcome on our second stay. The accommodation is both luxurious and comfortable and the breakfasts are nothing less than perfect. Carbis Bay Beach restaurant v good food but pricey. Everyone went out of their way to ensure that we had everything we could possibly want down to "after sun" lotion in the fridge should we need it! The breakfast food was excellent and the afternoon cake was a very nice and welcome touch. More friendly and welcoming hosts would be hard to imagine. Take the train everywhere - it is an excellent service and cheap at half the price. La Casita restaurant at the top of the road is well worth a visit as are The Firehouse and the Sea Food Cafe on Fore Street in St Ives. The folder provided by Mark & Fenella in the room gives even more choices of places to eat. Perfect place to stay after our wedding. It was an oasis of calm away from our massive families! Room was lovely with great attention to detail. Bed was very comfortable. Things like the little cappuccino and hot chocolate sachets were a nice touch. Garden in Heligan room was wonderful. Little snug lounge and honesty bar was also a very nice touch. Best B&B breakfasts we've ever had! Breakfast room itself was beautiful with amazing view of the sea. Mark and Fanella were both very welcoming, friendly and accomodating. Perfect spot straight after getting married. Bring your wetsuits so you can go for a swim in Carbis Bay! We loved our stay with Fenella and Mark - would definitely return to be spoiled by a most welcoming couple such as them again. Great choice of delicious treats for breakfast, delightful little bar/snug for retiring to after a hard day at work or pleasure, mixing with other guests. Perfectly situated outdoor area in the sun, as well as a private space attached to each room. 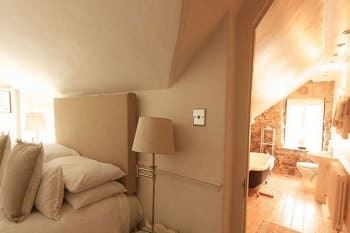 And each room beautifully appointed with the cosiest of beds, furniture and tasteful fittings. We loved the walk into St Ives, and for those less able to go the distance, the train is an excellent option only a few minutes away. Lots of nearby restaurants with good food and great views, and just walking around the bays and streets is a delight. The owners are lovely and they have a real eye for detail. We are already planning a return trip. No need to think twice about booking Headland House ... you won't be disappointed. Book restaurants as early as possible. The Beach Cafe is great for lunch, a drink, dinner or sundowner cocktail. Spanish restaurant La Casita (don't be put off by its decor) has a great food, a good buzz and well worth a visit. Sam and I had an amazing time staying at Headland House. We were welcomed by Mark who gave us lots of recommendations and ideas of places to eat and drink. The accommodation was fantastic and we loved our room, the decor was lovely. The small extras like daily cake was very appreciated! Breakfast with a view of the sea was topped off with delicious breakfast choices and a daily smoothie shot. We were so lucky with the weather and we cannot wait to come back. Porthminster Kitchen was fantastic as was the rum and crab shack for that more chilled feel. You cannot beat a lunch at Porthemor Cafe on the beach looking out onto the beach! Cocktails at Alba we would also highly recommend. My wife and I loved our stay at Headland House. It's an absolutely beautiful hotel, much smaller than we've been to before, but it was much more personal and comfortable. Mark, Fennela and Lisa could not have done more for us while we were there. They are all so helpful and friendly and have excellent knowledge of the local area. We sincerely hope to return there in the future! Restaurants - Porthmeor Beach Café was our favourite - you have to do a pod! Porthminster Beach Café was excellent, The Hub had incredible burgers and drinks and if you just want a hot drink, some cake or particular some ice cream then you have to go to Moomaid in St Ives. Fabulous! Just love this hotel. Beautiful rooms,spectacular views,amazing breakfasts and wonderful hosts! You can't ask for more! This was our second visit to Headland House and can't wait to plan our next. The friendliest B&B we have stayed in. Great variety of eateries in St Ives which can be easily reached on the little train (station close to Headland House). Apart from our confusion about parking arrangements, we thoroughly enjoyed our stay. We had booked one of the smallest rooms but to our delight, we were immediately upgraded to one of the bigger rooms at no additional cost. Attention to detail was second to none and the owners were most welcoming. Even the weather was on our side, which was an added bonus........ The B & B has certainly earned the 'Luxury' descriptor, top marks to Mark and Fennella! Mark had recommended No 57 on Fore St as a great venue for dining out so we duly booked a table for last evening (complete with the best harbour view), however late in the afternoon we received a text of apology from the owners who were unable to honour our booking due to some bad family news received that afternoon. We therefore had to look for somewhere else at short notice and decided on The Rum And Crab Shack, which Mark had also mentioned was a good place to dine. BUT we were sadly disappointed with the fayre (maybe it was our bad choice - mgt's reaction to our complaint was that lobster was not currently in season so the fact that the lobster had next to no meat on it should have been expected!). Suffice to say, we will not be rushing back. However to end on a high note, we enjoyed pre-dinner cocktails at the Porthminster Kitchen, overlooking the harbour and at the end of our evening managed to walk back to Gonwin Manor cottages at Carbis Bay following the coastal paths, no mean feat given our consumption of that last bottle of wine!! Great accommodation, lovely hosts. Already recommending to friends! Very helpful and friendly. Lovely room and delicious breakfast. Enjoyed the sherry too! The Bean Inn just up the road is fantastic, as is Porthgwidden Beach café, recommended by Mark. We had a fantastic stay at Headland House, the room was luxurious and very clean. Service was great, we both felt very welcome and breakfast was lovely - everything you could want was provided. The location is perfect, quiet in the evenings and with lovely views over St. Ives. Exploring the Godrevy coast - lovely bit of coast path with dramatic cliffs and hidden bays. Thank you for the lovely stay. Fenella and Mark are the perfect hosts. Nothing was too much trouble especially as my wife suffers from Dementia and needed help and support, which was offered in abundance by Mark and Fenella. They are lovely people and we couldn't have asked for a more relaxing and beautiful place to stay. Make sure you take the beautiful coastal walk from Carbis Bay to St Ives. Its quite a walk but the train journey back is worth it just for the views. There are plenty of places to eat but I would recommend Porthminster Beach. The food is excellent as are the surroundings, although you will need to book well in advance. Great location, very friendly staff and excellent breakfast - we were very happy with our stay and would highly recommend it. We thoroughly enjoyed our stay. Location was excellent. The room had all the luxuries of a boutique hotel. Recommend the Boat House. Breakfast was one the very best we have had. Excellent range and the taste and presentation were superb. We recommend you use the St Ives branch line to travel into St Ives. The quantity of trains were great. The beach cafes at Porthgwidden, Porthminster and Porthmeor were fabulous. Recommend you book restaurants in advance and you certainly will be spooky for choice. Live music in pubs was a nice end to the evening as was the honesty bar at the Headland. Awesome! You were so welcoming and friendly, we felt at home straight away, and we also felt that nothing was too much trouble. We wish had stayed with you longer. We will most definitely be staying with you again in the future and we are already looking forward to seeing you both again. Make use of the train, it is very handy and regular and is only £1 per person for a single to St Ives. Eat at the Cellar Bistro in St Ives at least once. Visit Fowey and the North Cliffs. A beautiful place, wonderful hosts, fantastic breakfasts and homemade cake in the room everyday - what's not to love! Can't wait to come back! Mark and Fenella are amazing hosts and made our stay perfect. They both did everything possible to help and their advice on where to eat and visit was spot on. Mark's breakfast is a great start to the day and Fenella made sure everyone' s order was delivered with a smile The Hotel is in an ideal position within easy walking distance of St Ives or Carbis Bay Station. Well worth a visit and we'll be back! Just ask Mark and Fenella. They give great feedback on places to see and the better restaurants. Cozy and warm atmosphere, the hosting family is super smily, nice and very happy to help for any desire. Ocean view room is breathtaking. Definitely a place where to stay. This is a beautiful hotel and the facilities, food and owners were all spectacular. Made to feel incredibly welcome. This incredible hotel is just what you are looking for if you want something special. Would definitely go back and recommend this as a place to stay. The area is wonderful with lots to do. The owners have lots of intimation on places to stay and what's going on in the area with out pushing anything on you. Beautiful place to stay and visit. Very friendly staff, nothing too much. Made us feel comfortable. The house is beautiful. Excellent breakfast. The attention to detail is spot on, even in your room you are left slices of cake in the afternoon. A truely wonderful hotel, you would never get this at a larger hotel. Fantastic hosts. You made us feel very welcome and nothing was to much trouble. Breakfast was very good and set us up for the day. Cake in the afternoon was a bonus. We booked for three nights but stayed for four. Hopefully we will be back next year. We loved rooms 4/8/3. The train into St Ives is very easy and a lovely way to travel. The walk is good and takes about 20 minutes, an excellent way to help the breakfast go down. Very friendly and welcoming. Room was clean, tidy and relaxing with a perfect view. Food was excellent. We would definitely stay with you again. Taking the train from Carbis Bay is the best way to access St Ives and only a short walk. Relaxed atmosphere in a luxury setting! no.57 for Cornish Tapas. Rum and crab shack. Mark and Fenella were the most wonderful hosts. Our room was immaculate, the facilities wonderful, the breakfasts marvellous. Thoroughly recommend a stay here. We will definitely be going back. Many thanks for a lovely holiday. Such a wonderful place to stay. Real luxury and very comfortable. Better than a hotel. Great location with fantastic views and minutes away from the train station to get the train to St Ives which takes 4 minutes. Would highly recommend to anyone wanting to stay in this area. Porthmeor Beach cafe served really lovely Tapas and the Seafood Cafe was also great - really fresh fish. Minack Theatre really worth a visit. A really lovely B&B, great attention to detail and very high standards of cleanliness. Breakfast was amazing, and the views from the dining room were fantastic. As a solo traveller this week, I felt really welcome and relaxed. The coastal path walk to St Ives is a lovely 40-minute amble, or the train is a 5-minute hop. Outside St Ives/Carbis Bay, St Just is worth a visit and there is a lovely café on the main road at Pendeen, for a cream tea. You can't really go wrong in this area, everywhere is lovely. Wonderful place, wonderful staff. Excellent service and we will be back! Perfect stay as always. Made to feel very welcome by Mark and Fenella. Our 6th visit and will definitely be back again. Waking up with the view over Carbis bay can't be beaten. Coastal walk into St Ives (and for the keen walkers carry on to Zennor to end at the Tinners Arms pub). Paddle boarding or kayaking in Carbis Bay Restaurants in St Ives i'd recommend - Porthminster Kitchen, new addition on the harbour. Alba is always worth a visit too. Catch the train into St Ives its a 30 second walk down from the B&B, it only costs 1 pound / person, each way. We found that the Sea Food Cafe in St Ives had amazing food at a good price. The sticky toffee pudding is the best thing I've ever tasted!!!!! If you want to explore Cornwall and have a car, we would recommend going to Lizard Beach, what an amazing place, we were very lucky and got to see a couple of seals! The view at the lizard is incredible! 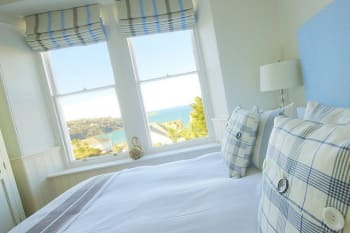 We booked the headland house (Cape Cornwall room) for our honeymoon, we could not have asked for a better place to stay, the service and friendly staff was excellent. On hearing we were on honeymoon we were touched by a gift of bubbly. The breakfast was filling and served in a nice setting over looking the sea. A very nice touch was coming back each day and finding cake in the room. We have already recommended it to friends. The location of headland house was fantastic and the trainline to St Ives meant it was easily accessible. We walked in a couple of times on the Coastal path and would highly recommend. We visited the rum and crab shack and enjoyed a selection of spicy rums! We also would recommend blas burgers we went there on the off chance and liked the food. Beautiful setting and interiors, with friendly staff and breakfasts to die for! A lot of attention given to the small details, a really enjoyable stay.,. Very nice location near St. Ives on a beautiful bay with spectacular view on the sea. Good parking facility in front of the main entrance and on the rear side. Friendly owners who are happy to provide guests with advices. Rooms individually fournished with very good taste where every small details has received particular attention. Delicious breakfasts! Charming room with a beautiful view across the bay. Comfortable bed, delicious breakfast and helpful hosts. Would love to return. Book restuarants in advance. If you go to the Porthminster Cafe request a window seat, it was beautiful watching the sunset. Similarly if you go to the Porthmeor Cafe request one of the booth seats. Outstanding stay. Loved the decor & ambiance. The owners are very attentive and nothing is ever too much. Attention to detail was always spot on. Mark and Fenella, you were both so welcoming and made us feel at home immediately which was especially nice after a very long journey from London. We honestly could not fault you as hosts and your beautiful hotel - we'll definitely be recommending Headland House to our friends and family. Thank you so much! One restaurant we hadn't read about or heard about that we literally just fell into was Porthminster Kitchen in St Ives - this was the best meal we had, absolutely delicious flavours, great atmosphere and lovely staff. It's only three months old apparently which probably explains why we hadn't read about it online yet. Fenella and Mark make you feel so welcomed and at home the minute you arrive. A slice of pure luxuary and heaven awaits inside this beautiful Georgian house. No detail forgotten. If only I could stay forever! Get the train to St Ives, it's a beautiful ride along the coast. Equally as beautiful is the 25 minute walk. The Tate is a must as is the Minack theatre (a amphitheater carved into the south coasts cliffs where you can enjoy plays whilst enjoying a picnic, the sundown and maybe spy Dolphins playing!) Porthmeor cafe has an unusual and delightful tapas menu with views across the beach! It was an amazing holiday and we loved to stay at the Headland House in St. Ives. The Owners Mark and Fenella have been so lovely and helpfull and made us really feel welcomed. 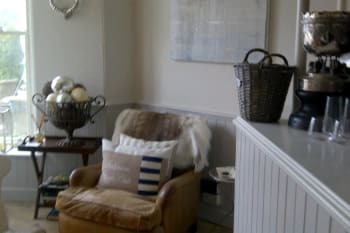 The B&B is wonderfully styled & decorated and you can really feel the love Mark & Fenella put into this place. We loved it there and we hope to come back soon. This was our first stay in St Ives after a 40 year break and we loved it. The hotel is perfectly placed close to the railway station at Carbis Bay, giving easy access into St Ives without all the parking problems. The hotel is beautifully presented in a homely style. Our room, The Boat House was situated in the garden and a few metres away from the main house. It was a large room, beautifully furnished and even had a large roll top bath available. The choice of breakfast was very extensive and the cooked breakfast was to die for. Overall, Headland House is the perfect place to stay. A lovely place to stay in a beautiful location. Very well looked after and a breakfast to die for. Use to train or bus for the short trip to the quaint, but very touristy, St Ives. Try to visit Paradise Park in Hayle. Porthcurno Beach is a lovely spot. Lovely room! Lovely people! Lovely area! Beach is a 5 minute walk, St Ives is 25 minute walk and theres enough parking if you wish to drive easy access. Friendly, efficient, approachable. Full of good tips and advise on local facilities and schedules. Sense of humour and willing to spare time to just chat! We really couldn't fault the whole experience. We had a lovely 5 day break and the service offered by Mark & his team was outstanding right from arrival. Certainly be booking up again and have already recommended Headland House to others. Only praise.I thought you both went out of your way to help. No real tips as Mark gave us all the tips. A very lovely and stylish house, where you feel home the minute you walk in. I extended one night because it is hard to leave. I will definitively come back! Driving along the cost from St. Ives via Zennor to Land's End and Minack Theater is amazing as well as the cost of Lizard Point. St. Ives is a must as it is very pretty! Boscasle, Tintagle, Port Isaac, Padstow and Falmouth are very nice places to go to. We had a wonderful welcome from Mark and Fenella and were shown to two beautiful rooms. They couldnt have been more helpful and hospitable. Breakfast was delicious and we cant wait to return! Many thanks for such a lovely time. There are some wonderful walks, its such fun taking the train to St Ives and means you dont need a car. We ate in some fabulous restaurants, a particular favorite was Porthminster and Porthmeor beach restaurants. Blas Burgers was great fun too! Thank you very much for such an enjoyable stay.Nothing was too much trouble and Mark and Fenella were excellent hosts.There were lots of little extras from the homemade smoothy shots at breakfast, to the yummy cake in the afternoon, to the complimentary sherry and honesty bar in the evening.All these things added to a very comfortable and pleasant stay. We were advised by Mark to try the Beach Club on the beach at Carbis Bay, which was a good choice after a long drive on our first night.We also went to La Casita, just up the hill.The Watermill at Lelant,which is a short journey by the liitle train from Carbis Bay and Porthminster Beach Cafe at St Ives, also reached by the train.All had good food. We also went to the Minnack Theatre at Porthcurno,which was fabulous and as well as watching the play we also watched some orcas playing in the sea! Headland House exemplifies luxury Bed and Breakfast in every respect - warm, friendly welcome, sumptuous bedroom with the added delight of homemade chocolate biscuit cake (a big hit! ), beautiful environment and location, and to top it all - the best breakfast we've ever had! In Headland House, Fenella and Mark have raised the bar for what to expect from luxury B&B. 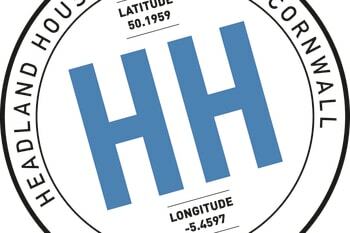 The biggest tip I'd give to other travellers is to stay at Headland House. Once you're there all the information and help you could possibly need is available for you. We were made to feel so welcome. Everything about our stay was spot on. The only improvement that could be made would be a stair-lift up the hill! We have stayed at headland house several times its a beautiful location and luxurious surroundings,we will definitely go again. Had a great stay b&b furnished to a high standard felt like a luxury break! The house and grounds were lovely. Be sure to time the train right going into town otherwise it's a sweaty walk if you're dressed up for evening meal. Parking can be a bit tight so arrive early for the best space! We know the area well and would obviously recommend St Ives. A trip to St. Michael"s Mount, Porthcurno, the Lizard and Kynance Cove are also recommended. There are lots of restaurants for dining out and we recommend La Casita in Carbis Bay, Porthminster Beach Cafe which is a restaurant in the evenings, also recommend the Tate cafe for light lunches. Do use the small railway to travel into St. Ives as it saves taking in the car. The real English Breakfast made by Fenella and Mike was absolutely delicious. From the moment we walked through the door there was a relaxed atmosphere, the Cape Cornwall room was beautifully decorated. Breakfast was excellent,Mark,Fenella and the waitress could not do enough for us. we look forward to returning to Headland House. Thank you so much for a lovely couple of days. Everything was perfect and we're made to feel so very welcome. The choice for breakfast was excellent and so beautifully cooked and presented. We stayed in Heligan the garden room and it was just lovely. One evening we sat outside drinking hot chocolate and homemade cake all supplied which was such a lovely touch. We ate both nights in the Carbis Bay beach restaurant which is just a short walk down the hill and overlooked the bay. The food was all freshly cooked and delicious. 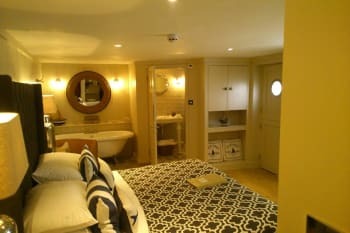 We loved our stay in the Mousehole room at Headland House. It had everything we needed and the bathroom was gorgeous. Mark & Fenella were both lovely and helpful, and gave us some great tips for things to do (especially the best beaches). Great location, I enjoyed being a little outside of St Ives as it felt a little more off the beaten track. Carbis Bay beach was also fantastic. Loved the cake in our room every afternoon tea, this was a nice little touch to look forward to after a long day sight seeing. 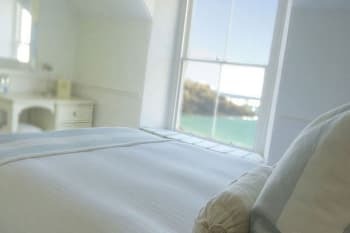 We would definitely recommend Headland House to anyone wanting to stay in the west cornwall area. Definitely try the coastal path to St Ives at least once. We found a lovely little cafe/restaurant in the town called 'the tearoom' which we sat outside with a drink enjoying the view from the bay. Fantastic personal touches that made an exciting stay all the more memorable. Just ask Fenella and Mark for anything you may need, as they're only too happy to pass on their top tips. We had a wonderful few days at Headlands House, everything was perfect, the staff, the food and location, the attention to detail made it feel very special, welcoming and so comfortable. Pleased we chose Carbis Bay to stay as St Ives was too busy for us, it was ok in the evening. Thank you. The walk through the station to St Ives was easier than the hill. We went to the Alba restaurant the food was lovely, went to Blas (burgers) I'm not a burger fan but these were delicious! We went to the little theatre to see West Side Story, it was excellent. The Tate was well worth a visit, the food is good too! This hotel is amazing! A beautiful building in a great location. 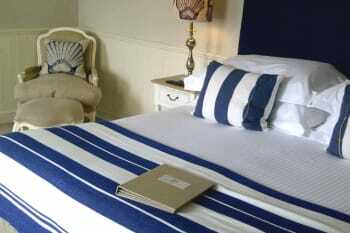 The rooms at the front have stunning views over the bay, really comfy bed with white linen. Lovely touches like yummy cake in the room and a glass of sherry! Mark & Fenella are fantastic hosts and nothing is too much trouble. The breakfast has to be the best! Wonderful selection of cereals, yoghurt, jams. Coffee, tea, toast and then the hot choice....just perfect, excellent quality ingredients and cooked to perfection! Yummy! We would recommend the Black Rock Resturant for excellent food and service. Headland house was definitely one of the best B&B we have ever stayed at. The location is brilliant (right by the beach and train line and close to St Ives central) and the breakfast was incredible (all organic food with a lot of choice). The owners made it feel really personal and their service was outstanding. Wonderful attention to detail around Headland House. 'Small but perfectly formed' encapsulates. Would probably go for room with bath next time, even if sacrificing view. Excellent choice for walkers - in fact walking to or from St Ives is a must (stopping at Porthminster Beach Café on way!). Would say 25 mins is pushing it - we walk regularly and at good pace and it took 30 mins to get to beginning of harbour. Mark and Fenella make you feel so welcome so you relax and enjoy your stay thank you. Carvery at Badger inn at Lelant very good. Very friendly family run B&B, the owners and staff go beyond normal service, not only to us but all visitors. The B&B is decorated in such a attractive way that it adds to ones stay, we were impressed by the attention to detail and taste. Parking was fine with plenty of spaces for everyone. Breakfasts were of good quality with plenty of choice. Advice and directions were given on the eating houses and pubs locally. Go into St Ives on the train where possible, half the time it was free. Plenty of restaurants in town, the "things about B&B" book in your room gives quite a good list and advice. The Hepworth museum and Tate are worth a visit and not to expensive. We preferred the lizard to Lands End its a little more "raw" and less "touristy". Kynance Cove is worth the walk it's spectacar. Porthcurno is a gorgeous sandy cove you really could be included the Med, this is next to the Telegraph museum and the Minack Theatre. Sennenis a fabulous beach for everyone and Has a fab restaurant overlooking the beach. The welcome was fantastic and given loads of information in such a short period of time. The room was well thought out with lots of little extras. Such as mini marshmallows for a hot chocolate. Breakfast was superb with lots of choice that it never got boring. The train line into St Ives was great as meant we didn't need to worry about parking in the town when going for dinner. The recommendations for places to eat in by Headland House were all fantastic if struggling for somewhere to eat. Friendly and helpful. We found the restaurant lists useful, and the ones we chose were excellent. We would have appreciated a choice of more fresh fruit at breakfast time, and possibly also porridge. Beautiful location and beautiful house and rooms. Loved the whole experience, service was outstanding, especially breakfast every day and the daily cake in the room! We ate at the Porthminster Beach Café, Gurnard's Head and Blas Burgers during our stay, all of which we loved. Mount St Michael and the National Trust gardens just outside Penzance were the favourite things we saw during the day. Very attractive room with wonderfully comfortable bed. Mark and Fenella, and all the staff could not have been more helpful or welcoming. Delicious breakfast. Very clean and comfortable bed. We thoroughly enjoyed our stay with you; the welcome , attention to detail and comfort was excellent. We will certainly return. Thank you. A very welcoming and relaxed place to stay. Nothing was too much trouble. Excellent breakfasts with a great variety. Our room (Sennen) was very comfortable with a lovely view. The house is beautifully decorated! We will be back! Thank you making our stay so enjoyable. Porthminster Beach Cafe is a must for dinner or even just coffee! TATE Rum Shack The Sloop Carbis bay walk to St Ives Seafood! 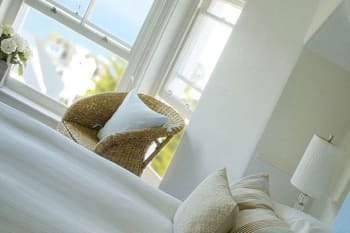 Beautiful comfortable luxury B&B in Carbis Bay. It had a very relaxed atmosphere. Mark and Fenella were both very welcoming and helpful. The breakfast and afternoon cake were delicious. The hotel is perfect in every way. The hotel is located in a very quiet and peaceful area with a great view out over Carbis Bay. The rooms are comfortable and nicely furnished. Nothing is too much trouble for Mark and Fenella and they ensure your stay is perfect. The atmosphere is very relaxing and the hotel is perfect for a relaxing break. The breakfast selection is superb and very high quality. We stayed for our mini honeymoon and we will certainly return for another stay soon! This is a great place to stay,a beautiful house with a gorgeous interior, fabulous breakfast, (thankyou for our early riser parcel on the morning we left). We really appreciated all the attention to detail, such as complimentary coffee and cake every afternoon, blankets to take to the beach, and a hugely hospitable welcome. Be it a B&B or hotel, Headland House manages to combine the very best of both. Warm, welcoming owners; beautifully appointed, impeccably maintained bedrooms, lounge and breakfast room; with breakfasts that make you feel you maybe should tackle the nearby South West coast path! Both Mark and Fenella were excellent hosts being most amiable,obliging and friendly looking after us extremely well. We were greeted on arrival by Mark who made us feel very welcome and gave us a tour of Headland House and made us aware of all the facilities and local amenities. The rooms and facilities were of the highest standard and the breakfast was of 5* quality, wanting for nothing. I would be pleased to return again and have no hesitation in recommending the Headland House to any travellers wishing to visit the St Ives area. Great time. Many thanks from the Penn gang. Excellent value and quality. Fab stay, gorgeous room and loved the bathroom. All the staff were so helpful and lovely. Couldn't fault it! Wish we could have stayed longer. Porthminster Beach Cafe was a really lovely evening. Food was amazing. We also went to see the last night at the proms at the Minack which I cannot recommend enough. Just perfect. We had a really lovely stay. Great breakfasts and lovely relaxing room. Friendly and homely,beautiful view from our room with excellent attention to detail. From the moment of arrival we found Mark and Fenella the most perfect hosts The staff we met were also pleasant helping to make you stay so relaxed and enjoyable The hotel is not only superbly appointed with excellent attention to detail. Breakfasts are truly excellent. There is a very comfortable patio and garden with views looking out to the sea We hope to return to Headland House and will certainly recommend it to our friends. Faultless in every way. Just a great place to stay. Will look no further when returning to St.Ives next year. Hosts are lovely and even provided bottle of bubbly in room on my birthday and cooler to take it to beach! Thanks again. Absolutely fantastic !!! Stunning B&B in perfect location :-) Would recommend in a heartbeat !! Fenella and Mark are lovely and couldn't be more helpful. Will definitely be going back! Local train service into St Ives is great. Best places to eat were Blas burgers and Halstown Inn. The accomodation itself was absolutely amazing. Tasteful and spotlessly clean, it created a wonderful atmosphere. The special touches such as afternoon tea and cake, blankets draped over outside chairs to warm against any chill, little jars of sweets and fresh milk in the room, made you feel wanted and that extra thought had been given about our comfort. Mark and Fenella were very gracious as hosts and nothing was too much effort. The breakfast was delicious and there was a wide choice of exceptional quality products. When researching for a romantic break away with my husband I read nothing but rave reviews about Headland House, they deserve every one of them. I wish it was a well kept secret so that whenever my husband and I want to book it it will be available, but truth be told Mark and Fenella deserve it to be a thriving business because they have cracked the formula. Lovely characteristic rooms and the luxury B and B is in a great location. Highly recommend headland house as the place to stay in st ives. Fenella and Mark are lovely people and breakfast is amazing. Somewhere really special for us now as we have been there twice already and will probably go next year too. Lovely curved top bath and all the details are brilliant. Thank you for making our stay perfect! My wife loved the furnishings and overall attention to details! We definitely want to come back, thanks again for the birthday gift, a lovely touch, breakfasts were amazing! Keep doing what you are doing!! Seagrass restaurant; beautifully presented, lovely setting and great tasting food. Good value too, 2 x 3 courses around the £75 mark. Strong cocktails too! Made to feel welcome. Lovely breakfast in a great setting looking at the view of the bay. Rooms lovely and very comfortable. Added bonus of coffee and cake in the afternoon. Would like to return one day. Nice carvery at Badger Inn at Lelant.